President Mahmoud Ahmadinejad has been under fire from leaders around the world for his refusal to put a halt to his uranium enrichment program. Now, it appears that he is being under attack by officials from his own country over sentiments that he and his administration made poor decisions that lead to the poor state of the economy. The Iran parliament is ordering the president to answer questions regarding his mishandling of the currency. Ahmadinejad has been embroiled in controversy over his failure to regulate the currency market. He now has one month to answer a summons and explain before the parliament the missteps he and his administration are being accused of. The rial, Iran’s form of currency, has drastically dipped in value over the last year. Iranian politicians partly attribute the drop in value to the heavy sanctions imposed by the U.S. but also to the gross mismanagement by Ahmadinejad and his government. The summon of the president was ordered after Mahmoud Bahmani, the governor of Central Bank, refused to answer questions regarding the state of the market. Among other things, the president is accused of using a trading system to allow for the importation of over 15,700 cars; the system is reserved and only to be used for the importing of rations and medicine. In addition, Ahmadinejad is also being accused of importing 2.5 billion dollars of wheat from abroad rather than just buying them domestically. 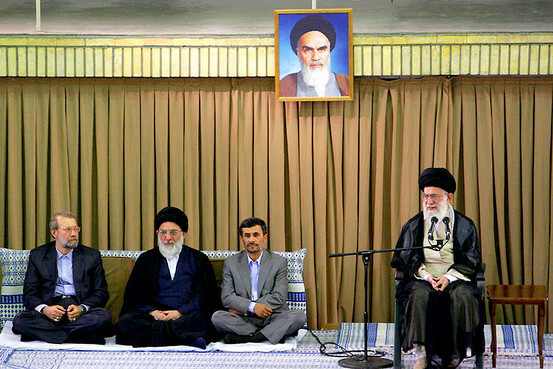 This is not the first time the Iranian president has clashed with officials in his own country. In March, he was heavily grilled after some claimed he made decisions that run completely counter to those recommended by Supreme Leader Ayatollah Ali Khamenei. The situation regarded the firing of an intelligence minister by Ahmadinejad, though the minister was later reinstated at the request of Khamenei.